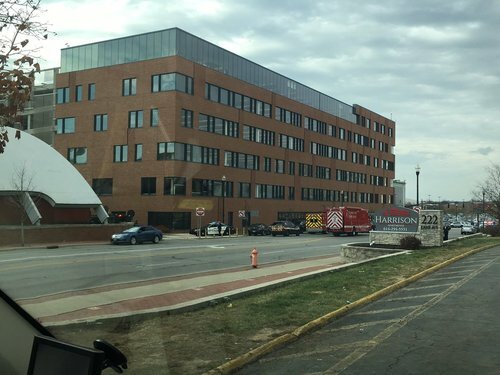 An active shooter was reported on the campus of The Ohio State University, in the vicinity of Watts Hall, on Monday, Nov. 28, 2016.
from OSU: UPDATE 1/2 : Shelter in Place lifted. Scene now secure. ALL classes are canceled on Columbus campus for the remainder of the day. All classes cancelled on Columbus campus for today. According to Sheriffs office on scene the situation is still active, still searching Lane Ave. Garage, alert did not come from department. Sheriffs department says to continue to stay away from the area surrounding Lane Ave. Garage. CPD and Sherriff's Office say the situation "is still fluid." Scene still active. Ongoing search in Lane Avenue garage. 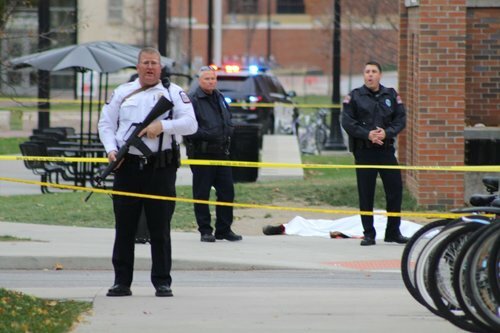 A source at Columbus PD told @TheLantern one of the suspects in the shooting on campus is dead. BREAKING: Ohio State spokesman says injuries in campus attack include stab wounds and being hit by a vehicle. According to student at Houston House, shelter in place was "improperly" lifted. Residence hall still on lockdown.